Today brought a couple new items. Early on, I was introduced to the Floor Press (pictured). 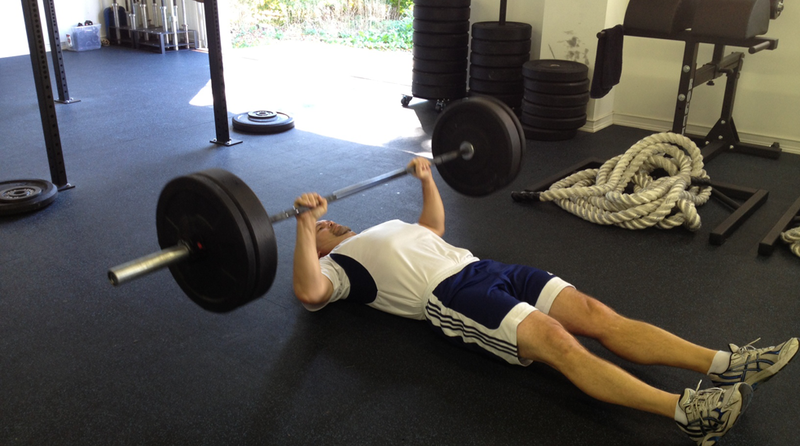 It looks like a bench press, but you are on the floor (thus the clever name). It was a bit easier on the floor because of the shorter range of motion.